What a cutie! 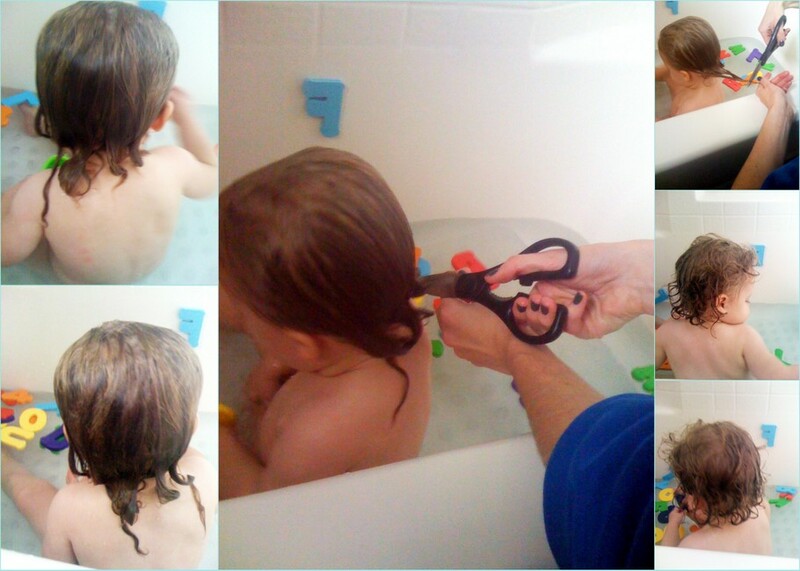 I cut my kids and husbands hair. And luckily they all like their haircuts and don´t move too much while cutting. How cute! My oldest has curls, and it was so hard for me to cut them when she was little. She is so cute in her curly hair.. I have yet to chop anything but my daughter's bangs. I'm too afraid to touch the curls! Great hair cut! She still has some pretty curls. Such an expressive face! OMG she's beautiful!!! I had curls like that too when I was little!! I love little toddler curls - they look good no matter what. I LOVE bath time pics! It is one our favorit things =) your babe is a beauty! ooooh, the closeup pictures of her eyes melt my heart. You did a great job of trimming it up. I wish my daughter had curls, lol. Thanks for linking up at Momma T and Baby E! Hope to see you back next week! Awww she is so cute!! That crazy coiffe will grow back in no time! Aww. So cute. Looks good. ugh she is so so so cute!